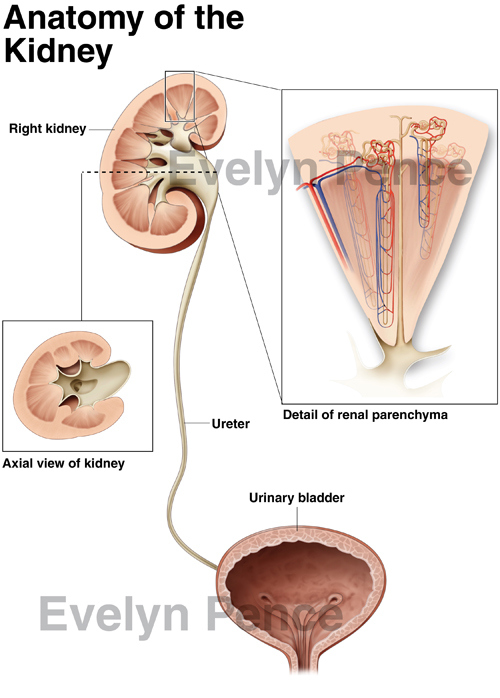 Illustration of normal urinary system anatomy to prepare a jury to understand a medical malpractice case involving hydronephrosis. The illustrations were created to help illuminate MRI scans (not shown) of the patient's right kidney. Cross section of right kidney and urinary bladder. 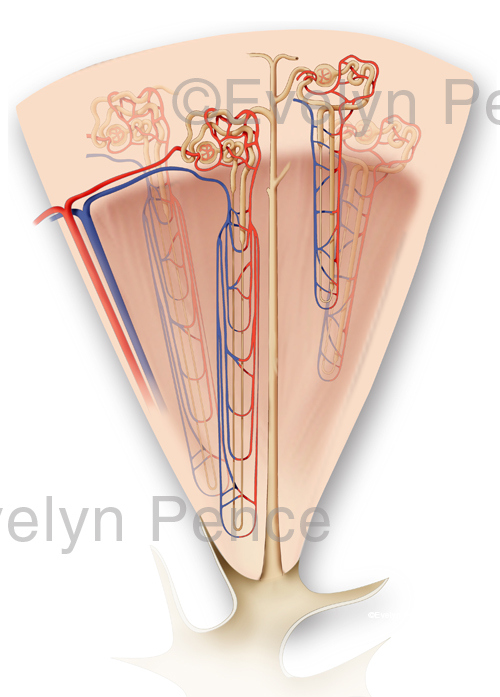 Detail of nephrons and a collecting duct within the cortex and medulla of the kidney.